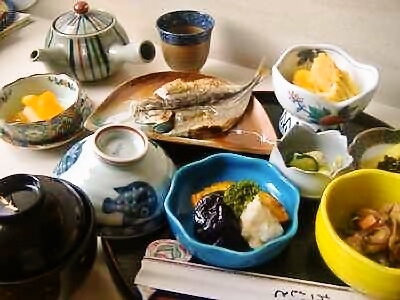 This is an example of food serve at Ryokan Shibaya. 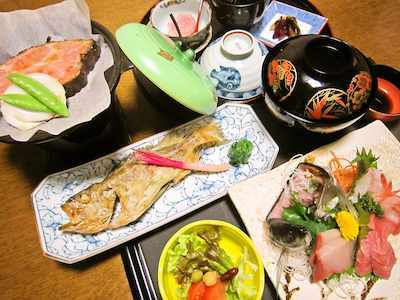 Advanced reservations required, because we goes to Ohmicho Market every morning to purchase fresh ingredients for the number of guests on the day. Please feel free to ask us, if you want to eat something. We will meet guests' requests.